The Financial Services Commission (FSC) came into existence on August 2, 2001 by virtue of the Financial Services Commission Act. It has replaced the Office of the Superintendent of Insurance (OSI) and Unit Trusts and the Securities Commission. This crisis resulted in changes and recommendations for the improvement in regulation and supervision of the financial sector. 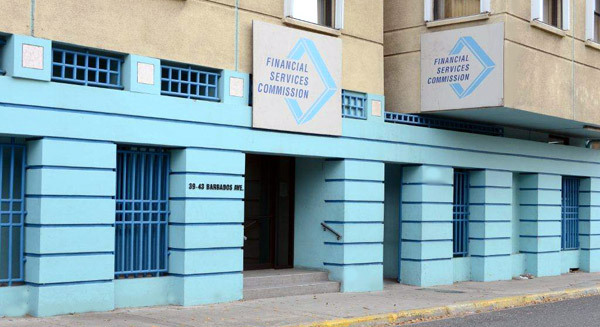 The FSC was created pursuant to the Financial Services Commission Act to oversee the regulation of Jamaica’s insurance, pension and securities industries. The FSC, a self-financing regulatory body, was given wide ranging powers to supervise, investigate and sanction entities falling under its jurisdiction. Bearing in mind the factors behind the crisis, the FSC’s supervisory practices initially placed a significant amount of weight on prudential supervision; focusing on solvency, the quality of internal controls, risk management and corporate governance within regulated institutions. The FSC is charged with supervising its licensees under the FSC, Insurance, Securities and Unit Trusts Acts. It is also the regulator of private Pension Plans through the Pensions (Superannuation Funds and Retirements Schemes) Act of 2004 (“The Pensions Act”). The FSC is also charged with supervising registered trustees and licensed administrators and investment managers of private pension plans. The FSC is one side of the financial sector supervisory coin, the other being the Bank of Jamaica, which regulates deposit-taking institutions - banks, building societies and trust companies. In being an effective regulator, the FSC has prudently structured the organization with specialist divisions designed to fulfill its mandate. The divisions include Insurance, Securities, Pensions, Investigations & Enforcement, Legal Services, Actuarial, Registration, Compliance and Internal Control and Corporate Services. These divisions fall under an umbrella that seeks to effectively bring to fruition a mandate that is geared towards fostering professionalism within the industries that are regulated by the FSC. As at December 31, 2013 the FSC manages 792 superannuation funds and 14 retirement schemes; of this total 440 are active funds and schemes with membership circa 95,311. The FSC oversees these entities by administering a number of statutes and accompanying regulations. The relevant statutes are the FSC Act, the Securities Act, the Pension Act, the Unit Trusts Act and the Insurance Act. The FSC is governed by a Board of Commissioners established by law and made up of a Chairman, and 7 other Commissioners, including the Executive Director. The Executive Director is appointed by the other Commissioners who in turn are appointed by the Minister of Finance. The Executive Director is the only full time Commissioner and is responsible for managing the activities of the FSC.